foil stamping. Color Plan 260# + 100# cover in ebony. 2 foil color (printed in black shine foil, foil edged in apple foil). 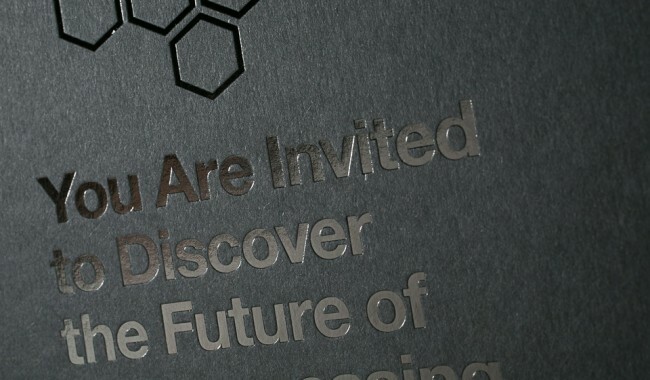 printed on our Kluge 14 x 22.
the letterpress invitation (5” x 7”). 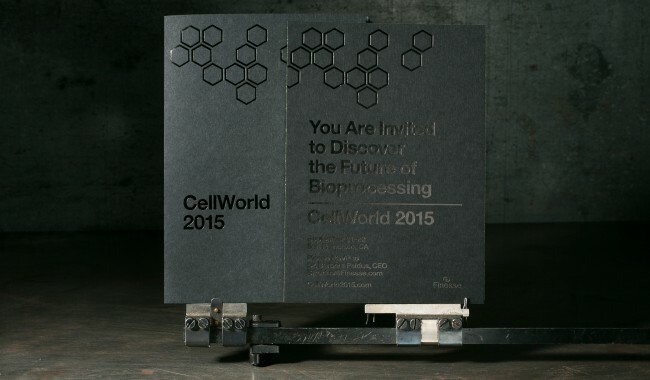 We printed these black foil stamped invitations for CellWorld, a conference focused entirely on innovations in bio-processing. 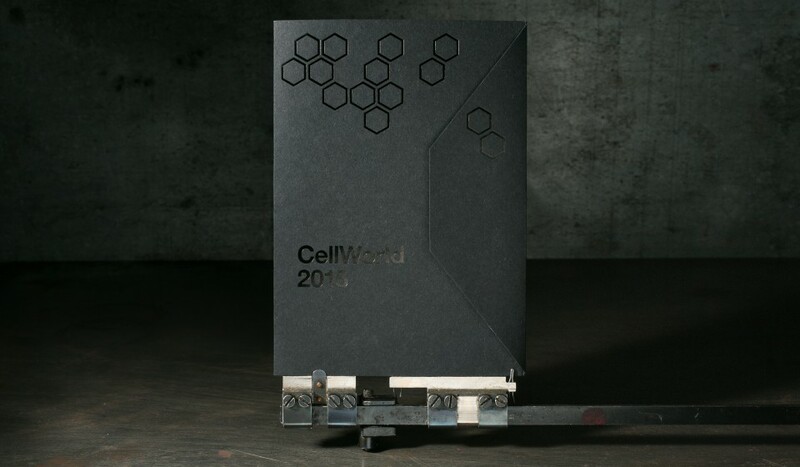 Inspired by the occasion, the invitations and jackets featured a geometric, cell-like motif and a bold, modern font. 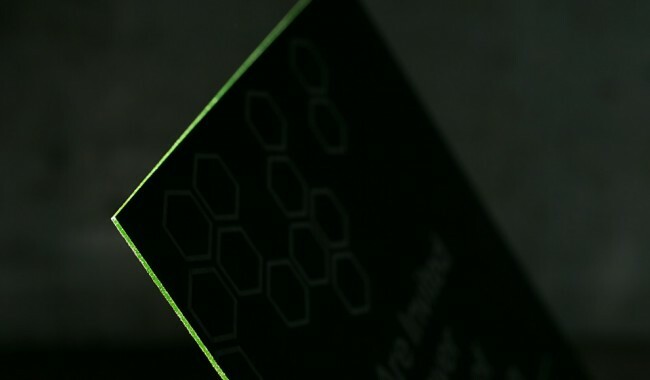 The design was finished with a bright, apple green foil edge.